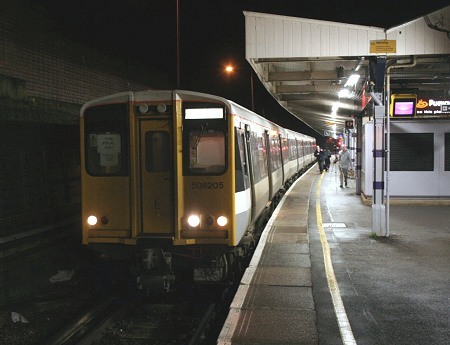 Tonbridge and end of the line (for the second time) for Class 508 on the Southern Region. 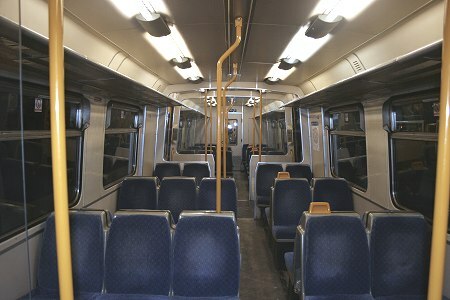 Interiors tend to be overlooked in photographs so just in case these units never re-appear in another guise these two photographs record the interior of driving motor standard open car 64707 of 207. The seating layout and type in this DMSO is unaltered from when the 508s were first introduced, as per the prevailing classes 313/314/315, etc, series. 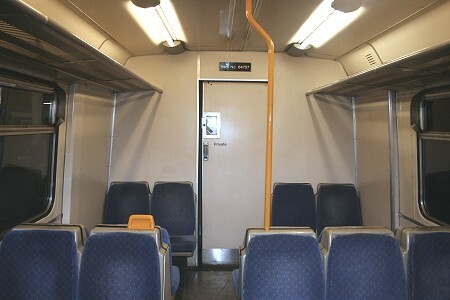 (above) looking towards the cab and (left) from the first vestibule towards the saloon . Friday 12th is not quite the end of our coverage! The following day - the day a railtour with these units was hoped to run - 205 and 207 made an empty stock move back from Tonbridge to Gillingham Depot. 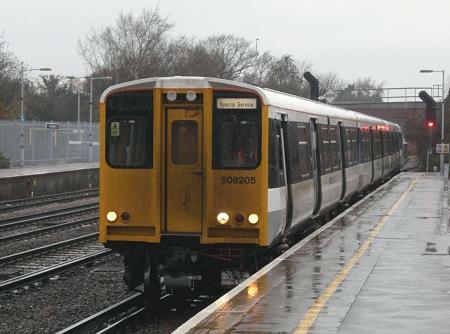 In appalling wet weather the pair are seen passing Paddock Wood.